The National Brownfields Leadership Summit, presented by the Center for Creative Land Recycling (CCLR), will take place on September 25 & 26, 2018 in Washington, DC. 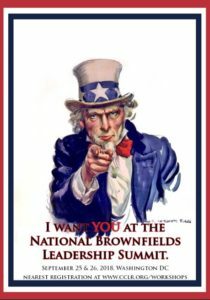 Put your company, local government, or non-profit ahead by attending the National Brownfields Leadership Summit. Join CCLR and NALGEP for this exclusive Summit, which will bring together top leaders from across the redevelopment industry with key decision makers in Washington, DC. “An investment in knowledge pays the best interest.” We agree with Ben Franklin! Hear the latest in redevelopment policies, programs, and funding opportunities and interact directly with leading federal agency personnel. The Summit is the can’t-miss opportunity of the year for redevelopment professionals from across the private, public, and non-profit sectors. Network with top redevelopment leaders from around the country and across the economy. 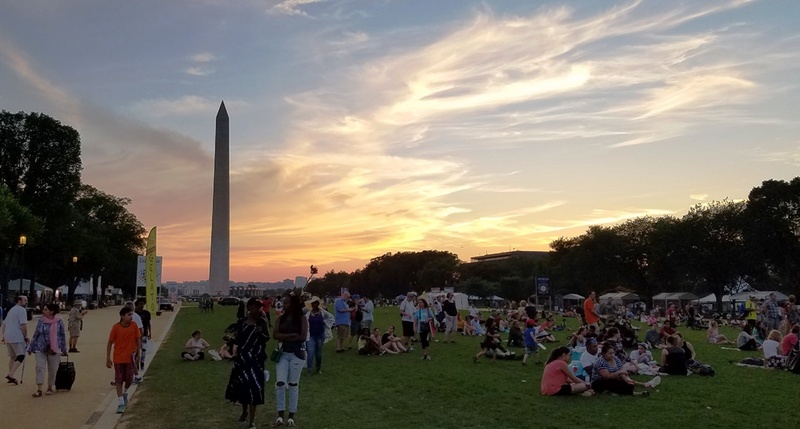 Photo of Washington Monument at sunset by Storm Cunningham.